Those are just a few of the words two new junior high principals use to describe their ambitions for next year’s seventh- and eighth-graders. And they plan to hit the ground running when the first bell rings on August 15. Please view this article for Pre-AP summer reading requirements for La Porte and Lomax Junior High schools, and James H. Baker Sixth Grade Campus. The health and well-being of our Lomax Jr. High School students and staff are of great importance, as is open communication with parents. Please open the article for more information regarding a parent's report that her child has a suspected case of viral meningitis. Please fine the summer reading information attached. Thank you. 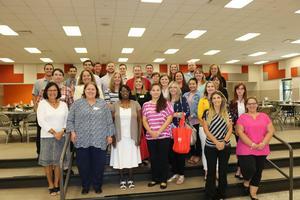 La Porte ISD has once again earned the Certificate of Achievement for Excellence in Financial Reporting from the Government Finance Officers Association (GFOA) of the United States and Canada for its comprehensive annual financial report (CAFR). 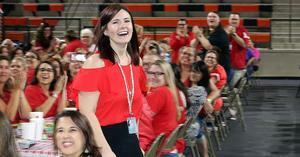 Thirteen outstanding educators have been selected to represent their schools as 2019 La Porte ISD Campus Teachers of the Year.